The Downtown Toronto condo market is stable, ready for investing and primed for profit. Here’s why buying a condo in Toronto for an investment is a smart idea. Buying a condo in Toronto for investment reasons might just be the smartest thing you’ve done with your finances in a while. Stick with us as we tell you all of the many reasons why the Toronto condo market is thriving and expected to remain that way. Over the last few months I’ve spoken to countless Torontonians who have been given the completely wrong impression about the Toronto real estate market — specifically, the condo market in downtown Toronto. I’ve heard plenty of rumbles about the “GTA”, I’ve read media headlines whose BS interpretations of market stats have educated people questioning their Toronto condo investments. The media attention has definitely sparked worry and even a bit of fear into those who’ve [rightly] invested a good portion of their life’s savings into Toronto real estate. As always though, I’m here to give you my Honest Broker opinion. I’ve spent the last 12+ years immersed in real estate. I live, breathe and, of course, sell real estate. I know the Toronto real estate market better than any news reporter spouting their ill interpreted facts. And let me tell you, as of late they have definitely been ill interpreted! Is It A Good Time To Buy A Condo In Toronto 2019? The short answer is yes! Today I’ll address the Toronto condo market and cover a few of my top reasons on why it’s actually a great time to be buying a condo in Toronto for investment. From Toronto’s average condo price to the fact that we’re now on the map as a world-class city. Here’s why buying a condo in Toronto for investment might just be the smartest thing you do you in 2019. This is some KILLER growth! Our clients (myself included) who have invested in the Toronto condo market have earned an extra 19% on their condo investments in just two years! If you have the means to do it, buying a condo in Toronto for investment really is one of the best decisions you can make. For the sake of transparency, below you’ll find a few of my personal condo investments. One key takeaway from my portfolio is that holding investments long term is the best way to make serious gains. And as I’ve said before, if I wouldn’t personally buy it, I wouldn’t recommend that you purchase it either. See how my clients’ portfolio properties performed here. Is Buying A Condo In Toronto A Good Investment? Is buying a condo in Toronto a good investment? Well, as you can see from the chart above, for my clients and myself, it absolutely was. 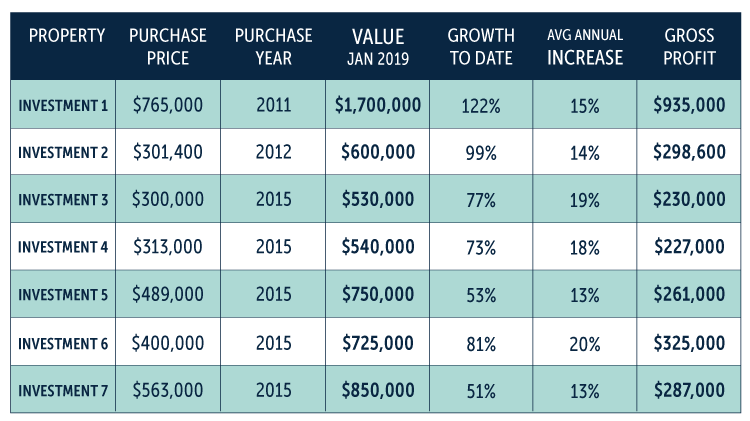 Despite what the media has told you over the last year, all of my condo investments weren’t just holding strong, they were seriously gaining value. Especially if you consider the fact that the historical average of Toronto condo appreciation is 4-5% growth per year, though you can see from my portfolio that the investments I select typically outperformed the historical average. My condo investment strategy is a bit different than the average investor buying a condo in Toronto for investment — or the average realtor, but that’s a conversation for another day. 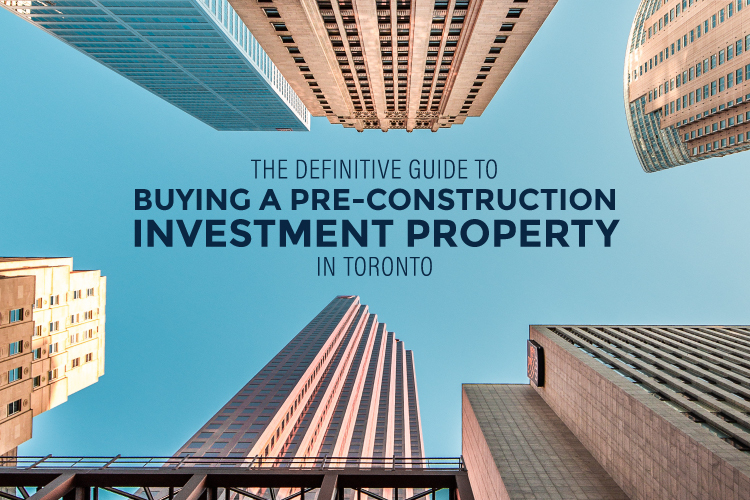 If you’d like more on that you can find my Complete Guide to Buying a Condo in Toronto here. Is buying a condo a good investment? Absolutely. As the most affordable market type in Toronto, condos make a great investment. Although the average cost of a Toronto condo has risen quite dramatically, the Toronto condo market is still the more affordable purchase for first time homebuyers. Many buyers, especially first time buyers in downtown Toronto, have been pushed out of the market for a Toronto home. Those searching for a home alternative will find themselves purchasing more feasible and fundable condos or sky homes (large condos) as these are the affordable alternative. As mentioned above, we don’t expect Toronto prices to drop dramatically. The Toronto real estate market saw the first slow down in sales that it has seen in eons all thanks to good ol’ government intervention and an extra bit of media fear mongering. For the last year all we’ve heard is some variation of “the prices don’t make sense with income,” “Toronto is overbuilt,” “but, the bubble.” Although we did see a temporary slow down, things are once again moving strong. The changes that we saw in the market were based on fear, they were not a symptom of the fundamentals of the market. Sales may be down (and in January of 2019 they were actually up slightly), but that’s not affecting overall market prices. Properties are in fact selling, prices are holding, and the pace has begun to pick up as fear has started to subside. The real estate market has already begun to rebound. Although detached home prices have dropped from last year, the prices are still quite unattainable for many home buyers. With home prices remaining high, the resale condo market will continue to be hot as it is an affordable home alternative for would-be buyers. The Toronto rental market has been described as “hot” and “out of control” and despite the introduction of the Fair Housing Plan in mid-2017, little progress was made to curb rising rental prices. The planned rental developments by RioCan and Allied Properties cite in this article in The Globe and Mail that rent control was the reason why REITs converted 133 planned rental units to condos at the Kingly development in Toronto. The report is the first to measure the impact of extending rent control by tracking the conversion of planned apartment projects to condos. Not all of the Fair Housing Plan changes had their desired effect. In the fall, Premier Doug Ford amended the Rent Control Act giving both renters and investors what they need. By lifting rent control on new units, investors can rest assured they are protected against rising interest rates and have the ability to offset the increase in carrying costs, should they need to. Ultimately, Toronto needs investors to continue to contribute to the rental inventory so that prices will stabilize. 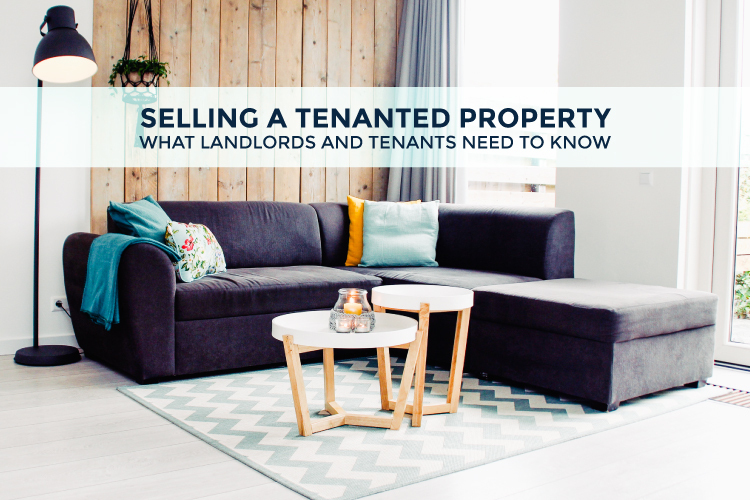 Until the market levels out, renters are still able to find rentals that are protected under the Rental Tenancies Act. Fuelling the fire of the red hot condo market in Toronto is the city’s extremely low vacancy rates that are sitting well below one percent. As mentioned above, the demand will continue to outweigh the supply and vacancy rates are expected to remain low. These low vacancy rates will continue to create bidding wars amongst would-be renters and are actually driving Toronto condo rents up. 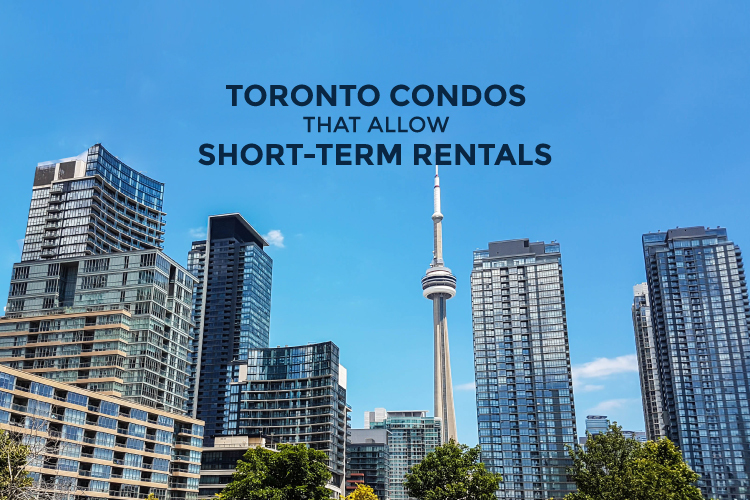 Despite the good intentions of the Rent Control Act, Toronto has recognized increasing rents due to the low vacancy rate and heightened rental competition. Renters are out-bidding each other and are going so far as offering an extra month or two of rent up front in cash to secure the property they desire. Below, we’ll show you the numbers on 11 Charlotte Street where two nearly identical units were rented in late August within TWO DAYS of each other, and the latter rented for $400/month more than the first. First Unit: 11 Charlotte St. – 34th floor, parking and locker included. Second Unit: 11 Charlotte St. – 28th floor, parking but no locker. As it would stand, the unit on a higher floor with a locker included should dictate a higher rate than the unit without a locker and on a lower floor. However, with this crazy low vacancy rate and renters chomping at the bit to find an apartment, landlords will likely get what they ask — assuming what they are asking is reasonable — and in this case, it obviously was. According to TREB MLS and their 2018 Q4 Toronto Rental Report, Toronto rental rates skyrocketed in 2018 up 8.8%. As we head into 2019, the average one bedroom condo for rent in Toronto costs $2,143 a month. Over the last year or so there have been serious fluctuations in sales activity. The Fair Housing Plan, tighter lending policies and rising interest rates have quite dramatically contributed to this. All of these changes have actually made it harder for buyers, especially first-time buyers in downtown Toronto, to purchase. A number of purchasers have either been completely side-lined or found themselves looking at more affordable options, namely, buying a Toronto condo or townhome. More importantly though, is the stand-off we saw between buyers and sellers last summer. After the Fair Housing Plan was implemented, buyers felt they deserved a ‘deal’ but sellers refused to drop their prices. Instead a lot of sellers pulled their properties and decided it just wasn’t the time to sell. The fact that most sellers weren’t willing to ‘drop their pants’ is a clear sign of a well-funded and stable market. If the Fair Housing Plan isn’t going to force their hand, nothing will. With home prices still quite high, the Toronto condo market will continue to be the affordable alternative. The demand for condos will continue and prices will continue to rise. There’s no doubt about it. But those who’ve already bought, can sit back and benefit from the promising Toronto condo appreciation. Toronto has the second fastest growing downtown office market in North America. The demand is high and the vacancy rate is at an all time low. This has companies paying top dollar when any space becomes available — the competition is fierce. 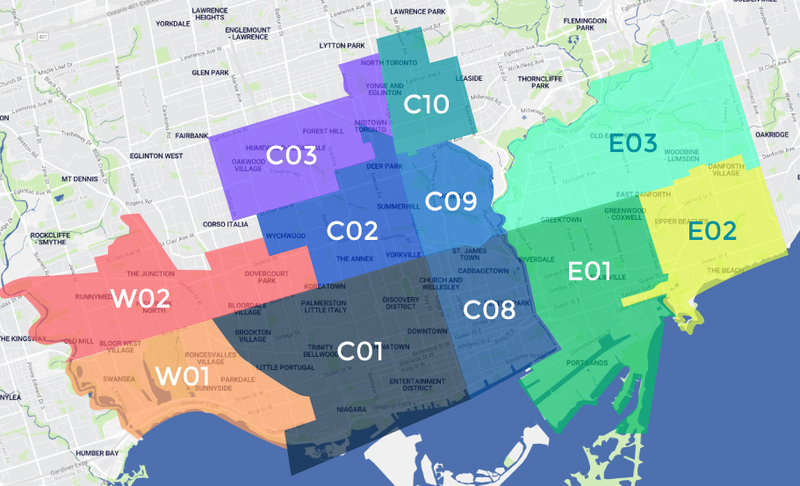 Toronto’s commercial real estate market has attracted several high-profile tech companies in the past year including Uber, LG Electronics, and Microsoft. Shopify, who already has several offices around Toronto, will be one of the lead tenants in the new development at Front and Spadina, The Well. 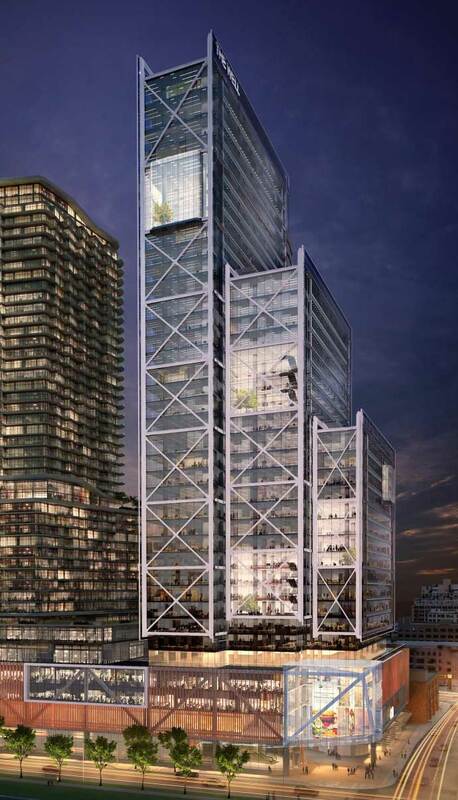 Microsoft will be moving their Canadian headquarters to the CIBC Square office development currently under construction at 81 Bay Street. Industrial spaces are commanding even higher prices with a record-breaking year-over-year increase of 9.3%. Investing in commercial real estate may cost more upfront compared to some other real estate investing avenues but the equity gains and rent roll you can achieve with this type of investment are so worth it. Toronto property owners are extremely well-funded. Canada’s stringent lending guidelines only allow very qualified people to purchase property. They have to jump through a number of safe guards before a bank will lend them money. This ensures that the market will not destabilize because buyers were poorly funded, rushed the sale and accepted a low purchase price. This would affect their neighbour’s and vice-versa. Lending practices here are quite strict and it’s contributing to the rising home prices which, in turn, is keeping people out of the market longer. This will lead to would-be purchasers being forced to rent for a longer period of time than if it were easy to break into the Toronto housing market. Record immigration, stringent lending guidelines and a growing population are among a few of the reasons the Toronto market is so stable. Toronto’s international profile has boosted to that of a world class city. Toronto has been recognized as Canada’s “tech hub” and has been called the Silicon Valley of the North. It was named the fourth city on the list of The Most Liveable Cities according to the Global Liveability Report, and Canada as a whole ranked seventh on the list of 2017’s World Happiness Report. More recently, Toronto made the Top 10 list of Future-Proofing Cities in the world. Toronto is a world class city but compared to other world class cities in the U.S.— and frankly, anywhere in the world — you’re paying less per square foot. It’s kind of like you’re getting a deal. Canada is the fastest growing country in the G7 and it’s no wonder, we just ranked number one in the world for quality of life. The Toronto Region’s population base, in particular, is one of the fastest growing in Canada. Toronto has more than twice the proportion of recent immigrants (8.4%) as Canada (3.5%) with approximately two million more expected by 2023. Adding to the trend is Canada’s low dollar and high quality of living (16th in the world) making Toronto an ideal home for migrating foreigners. At this time we’re experiencing considerably low — if not an all time low — delinquency levels — mortgages left unpaid for 60 days or more — as they have dropped to 0.56%. This means there are very few people defaulting on their mortgages as buyers in Toronto are well funded. This trend is also expected to continue as Canada has introduced more stringent lending guidelines and has been seriously considering implementing the Stress Test for all buyers. Property owners in Toronto are well funded. If you haven’t figured it out yet, now is the time to do so. This means that they are not over leveraged to the point where changes in rates or the market causes them to have to dump their assets and take a loss. Well funded means they have a backup plan and they are in the property game for the long haul. This is why with all of the chaos over the last year or so, sellers’ prices never dropped below 2016 levels. The Toronto real estate market may have temporarily stalled, but it certainly hasn’t dropped dramatically. A market is called a market because, well, it fluctuates — forever. If you’re looking for the ‘perfect’ time for buying a condo in Toronto for investment, it’s never going to come. 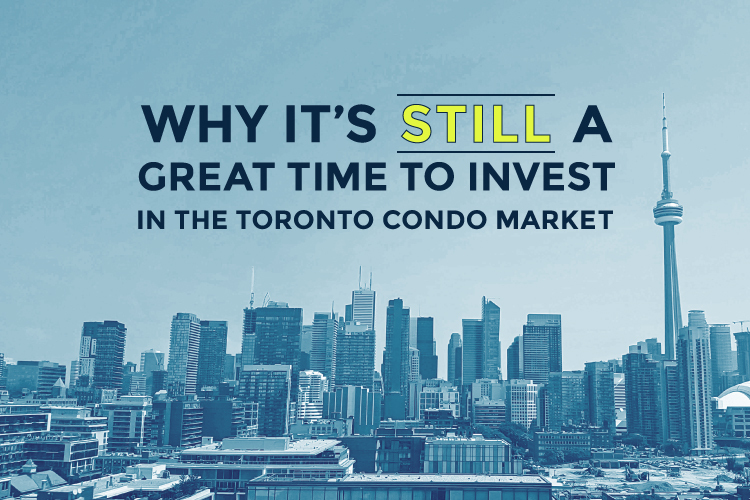 But if you’re looking for a healthy, stable market to invest in with great growth potential then the Toronto condo market is yours for the investing — and primed for profit.